In June 2015, the Vernacular Architecture Forum will meet in Chicago and get "Out of the Loop" to explore Chicago's built environment through the lens of the conference's theme, Neighborhoods in Transition. 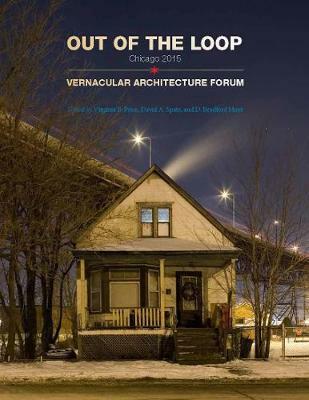 Out of the Loop: Vernacular Architecture Forum Chicago is published in conjunction with the forum as a companion piece, able to expound on the forum's programs while also answering the question "Why Chicago?" A fascinating exploration of Chicago, this is an in-depth tour beyond architectural icons and into the city's contested communities. Here the built environment remains open to new meanings. Neighborhoods hold pieces of civic structure, communal meaning, and cultural definitions. Some vernacular buildings, like the bungalow, are ready-made for occupancy and commonly produced, while still others are professionally designed. VAF not only addresses authorship but also adaptation as generations pass. In these transitions, a city steadily comes into view. Since 1980, VAF's explorations have expanded. The overlooked buildings and landscapes that continue to draw VAF together occur everywhere along the rural-to-urban spectrum. They include secular and sacred contexts in diverse locales, and they date from all time periods. The vernacular subject matter assembled by VAF continues to push the boundaries of the field of architectural history.